Spare a thought for Elisabeth Sladen, who died yesterday aged 63. She played the best-loved of the friends of Doctor Who, Sarah Jane Smith, in the mid-70s. 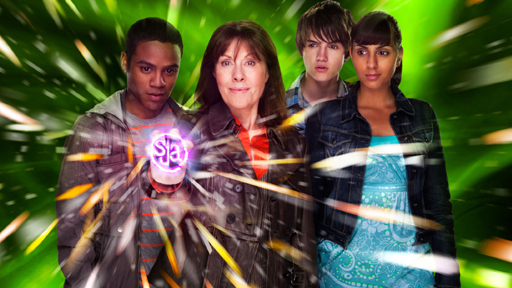 The character had such longevity it not only returned recently, but became the anchor for an entire new spin-off series, The Sarah Jane Adventures. I genuinely felt upset by this news, which doesn’t happen often. But even if you don’t have my affection for her performance and her character (the embodiment of Vonnegut’s injunction that you’ve got to be kind), you should still recognize what is lost with her. There are few television series that provide worthwhile entertainment for pre-teens, and fewer still that give centre stage to a woman over 60 years of age. Read the thoughts of her young fans here. Posted by morgue on Thursday, April 21, 2011, at 2:40 pm. Filed under And also, Things I've Seen. Tagged doctor who. Follow any responses to this post with its comments RSS feed. Both comments and trackbacks are currently closed. I kept trying to think of a way to post or facebook about Lis Sladen dying but it just didn’t feel right somehow since I was at a loss for words. I just can’t quite grasp that there’s no more Sarah Jane Smith. It is several days later and I am still sad. TBH I found SJS rather annoying in the old Dr Who. Even as a kid her naivety got to me – “don’t go towards the ominous green light you idiot, it’s obviously bad news!”. I did find her far less annoying in the Tennant reboot. It seems she did learn some things from all those years galavanting with The Doctor. And lost her naivety along the way. JB: Yeah, fair comment, at least for a bunch of her stories. Sarah changed quite a bit in the classic run, if I remember right. She was strong and smart in her first few stories, then got run down to be the kind of character that bugged you, but in her last run of stories she was hella smart and capable – much more so than she’d been at the start. I think she was putting pressure on behind the scenes for them to start writing her smart again. She did get mind controlled an awful lot though.